In March 2019, SMU Libraries uploaded 373 items into SMU Libraries Digital Collections. 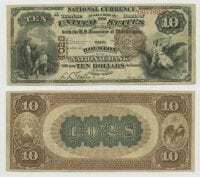 United States $10.00 (ten dollars) national currency, 1889, DeGolyer Library, SMU. 82 bank notes ca. 1866-1929 added to the Rowe-Barr Collection of Texas Currency as part of the TexTreasures FY2019 grant program, sponsored by the Texas State Library and Archives Commission and funded by the Institute of Museum and Library Services. Notes in this set originate from banks in Hearne, Hebbronville, Hemphill, Hempstead, Henderson, Hereford, Higgins, Hico, Hillsboro, Hondo, Honey Grove, and Houston. Of interest are an 1889 Brown Back note from the Houston National Bank with the serial number “1” and two Original Series notes from the First National Bank of Houston and the National Exchange Bank of Houston, one issued in 1866 and the other in 1873. Four oral history interviews have been added to the Southern Methodist University Oral History Interviews and Digital Humanities Student Projects collection. These interviews, with D’Marquis Allen, Andy Buitron, Ana Rodriguez, and Byron Sanders are part of the Voices of SMU project. [Christian Dior], ca. 1947, DeGolyer Library, SMU. 53 items, including telegrams, letters, photographs, and negatives, have been added to the Stanley Marcus Papers. These include photographs of Christian Dior from his 1947 visit, materials from the 1947 Neiman Marcus Fashion Exposition Award planning and festivities, and negative strips featuring photographs of Coco Chanel from her 1957 visit to Dallas. One panoramic photograph, 1917, from Fort Riley, Kansas, of the construction barracks for Fort Riley. One panoramic photograph, 1920-1921, of the U.S.-Mexico border from the Collection of Texas Rio Grande Valley panoramas. One hand-colored panoramic photograph, 1900s-1910s, from the Giesecke Family Collection of Photographs and Panoramas of Mexico of a mining operation in Mexico. 3 panoramic images, 1918-1941, from Texas Military Panoramas. These images show three military camps in Texas: Kelly Field in San Antonio, and the Eighth Cavalry outpost and Fort Bliss, both in El Paso. Greetings from Camp Callan, California, ca. 1943, DeGolyer Library, SMU. 13 items, 1943, from the John C. Cox World War II Papers collection. Included among these items are several letters to Cox’s parents and brother detailing his days at Camp Callen, as well as several postcards. 2 photographs, ca. 1880s-1890s. from the [Collection of Mexico City and other Mexican cities photographs]. These images depict a “walk of the dead” from Teotihuacan and a monument to the executed Emperor Maximiliano I of Mexico. 122 student newspapers from 1994 to Southern Methodist University Student Newspapers. These issues feature stories about the death of Richard Nixon and his legacy, the implementation of email on the SMU campus, and a visit from gubernatorial candidate George W. Bush. 2 images, ca. 1940s, from the Collection of African American Photographs. These images show an African American store clerk and two African American women and a boy in a store. 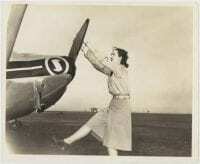 [Female Pilot Pulling on Airline Propeller], ca. 1944, DeGolyer Library, SMU. 17 images, ca. 1918-1944, from [Love Field Air Corps Training Depot and Dallas Aviation School, Texas]. Among these images are views of airplanes and pilots at Dallas Love Field, including images of female air pilots. 9 drawings, 1899-1915, from the Collection of Baldwin Locomotive Works. Included are erecting card drawings for Marcellus & Otisco Lake Railway, Sheffield & Tionesta Railway, and Warrenton Railroad Company, among others, and detail drawings for a Belmont Tramway cab and Virginian Railway tender truck. 2 items from the Texas Instruments Records collection: a Minuteman II computer circuit board used to train assembly operators to mount flat-pack integrated circuits, and an integrated circuit designed by Autonetics for use in the Minuteman II missile. Twentieth-century printers and artists developed aesthetic principles that articulated the power of the book to influence the reader’s experience of a text. They endeavored not simply to copy or illustrate Scripture but to embody it in a meaningful form. Whether austere or exuberant in design, these books were conceived to give countenance to the spirit within. On view now in the Prothro Galleries in Bridwell Library, The Word Embodied: Scripture as Creative Inspiration in Twentieth-Century Book Arts. 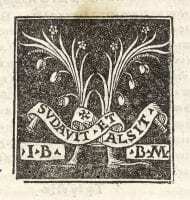 The dissemination of classical Greek literature and Byzantine scholarship was greatly advanced by the advent of printing with movable type in Europe in the fifteenth century. Printers in Italy were especially significant in the promotion of classical education, aided by an influx of Greek scholars fleeing centers of learning such as Constantinople and Thessaloniki in the Byzantine Empire as it fell to the Ottoman Empire. Monuments of Early Greek Printing is on view now in the Entry Hall, Bridwell Library. This entry was posted in currency, Dallas, Mexico photography, Oral History, Railroads, SMU history, Stanley Marcus Papers, Texas Instruments, Texas photographs, TexTreasures2019, World War I, World War II. Bookmark the permalink.